Pacific Heights single family home concept design with final installs for kids rooms, transitioning their spaces from baby, tween to teen. 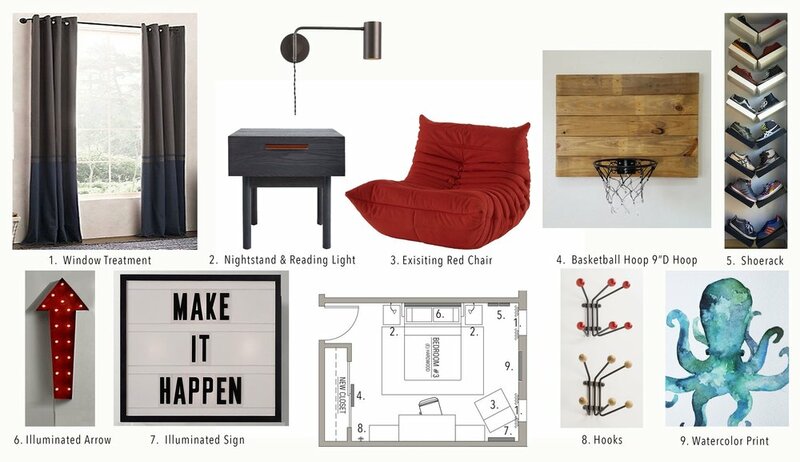 Stylish & relaxing hangout spaces, new modern reading sconces at beds, and better storage solutions. Bright illuminated marquee signage and geometric accent shelving, lets the kids personalize their own spaces and mark their style.